If you are the type of person who is interested in helping and caring for others either in a clinical care or a social care capacity, then did you know there are many types of Health Care Apprenticeships out there to get you started in healthcare jobs and careers that you could find fulfilling and rewarding? Apprenticeships are a fantastic opportunity for young people to earn while they learn. They are a real job where you can learn valuable skills in the workplace and also study towards nationally recognised qualifications that will help you progress in your chosen career. There are thousands of Apprenticeships out there in a whole range of fields so there could be an apprenticeship in healthcare out there for you right now. How Health Care Apprenticeships Vary? What Is Involved In Health Care Apprenticeships? 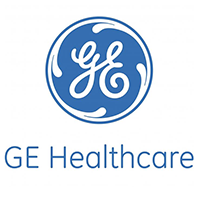 GE Healthcare develops products and services used as tools for biopharmaceutical manufacturing, drug discovery and the latest in cellular technologies, helping to make new discoveries in medicine. AFA Skills & Training are a Norwich based training provider with apprenticeshiops in hair, barbering and beauty therapy throughout England. We are a leading provider of apprenticeship training in the Liverpool and Merseyside area. We offer a range of apprenticeship programmes in construction, healthcare, hospitality, manufacturing and many more. Health and Social Care Apprenticeships - these Apprenticeships could see you working for the NHS in hospital jobs, for example, in privately owned healthcare facilities, in the voluntary sector or for local authorities. Clinical Healthcare Support Apprenticeships - these types of Health Care Apprenticeships could see you working in a range of health care assistant jobs or healthcare support worker roles. Healthcare Support Services Apprenticeships - These Apprenticeships could see you working a variety of jobs that help towards the smooth running of a range of healthcare services. So, it is down to you to decide which type of Health Care Apprenticeships would suit you best depending on your interests and where you think your strengths lie. Exact jobs, duties and places of work will vary, depending on the type of Health Care Apprenticeships you decide to do and the people you are working for. Here are some of the health jobs and duties you could be carrying out within your Health Care Apprenticeships. When it comes to Apprenticeships, Health and social Care is a popular route to opt for. There are two pathways you can take for Health and Social Care Apprenticeships and there is a variety of jobs you could do. Adult Social Care - Health and Social Care Apprenticeships within the Adult Social Care pathway will suit those of you who enjoy hands on work, helping people in the community. Rather than being based in one particular building, Apprenticeships in Health and Social Care in the Adult Social Care pathway will see you in the community, visiting people’s homes, care homes or community centres. Adult Social Care will see you dealing with the elderly or with people with physical disabilities and learning difficulties. Some of your duties could be helping people to dress, doing jobs around the home, transporting people to and from home, taking them shopping. Health Care - Health and Social Care Apprenticeships within the Health Care pathway will see you doing healthcare assistant jobs in hospitals, clinics, hospices and the community. This Apprenticeship could mean you are supporting doctors and nurses with their duties. Care assistant, including night care assistant. If you choose to progress to Health and Social Care Apprenticeships Level 3, these duties will become more senior and you could be leading your own teams, working as a supervisor or as an outreach worker. Successful Health and Social Care Apprenticeships Level 3 will mean that if you want to continue to develop your healthcare careers, you can progress to operating departments are training to become a nurse, for example. These types of Health Care Apprenticeships will suit those of you who are looking to work in a more medical environment, supporting doctors, nurses and health researchers such as scientists. You could be doing hospital jobs or working in clinics. These Health Care Apprenticeships have two levels, Intermediate level (Level 2) and Higher level (Level 3). If you choose to progress to the Clinical Healthcare Support Apprenticeships Level 3, you will be in a more supervisory role and you will also qualify to carry out more complex medical procedures such as treating and dressing wounds. Do you want to do Healthcare Assistant Apprenticeships where you are the person working as part of a team to make sure everything is running smoothly for those on the frontline? If so, then you might want to consider Healthcare Support Services Apprenticeships. Healthcare Support Services Apprenticeships could see you doing hospital jobs such as a ward clerk or medical or health records clerk. If you decide to progress from Intermediate Level Apprenticeships to Advanced Level Apprenticeships, you could be a team leader or supervisor in charge of medical and health records. Whichever type of Health Care Assistant Apprenticeships you choose to do, you will do Functional Skills Maths and English at Level 1, if you haven’t already achieved a similar qualification in the past. What Qualifications Will I Gain In Intermediate Level Health Care Apprenticeships? Health Care Apprenticeships Level 2 (Intermediate Level) will see you gain qualifications relevant to your particular field up to Level 2 (NVQ, for example). This is equivalent to 5 GCSEs at grades A-C.
All Advanced Level Apprenticeships in Health Care will mean you achieve Functional Skills Maths and English Level 2, if you haven’t done so already. What Qualifications Will I Gain In Advanced Level Health Care Apprenticeships? Advanced Level Apprenticeships in Health Care will see you gain the equivalent of NVQ Level 3 (which is the equivalent of 2 A-Levels) in your chosen field. Apprenticeships are evolving all the time and, until recently, it wasn’t possible to progress to Higher Level Apprenticeships in Health Care. However, this has now changed and the good news is, for those of you with the relevant experience and qualifications, Skills for Health has created the Higher Level Apprenticeship for Assistant Practitioner. This will see you doing assistant practitioner jobs whilst training for your qualification. What Qualifications Will I Get With Higher Level Apprenticeship for Assistant Practitioner? There are 2 options for the qualifications you will be awarded for Higher Level Apprenticeships for Assistant Practitioner. You will be able to discuss this with your employer and you can both decide the most suitable route to take. Successful completion of Assistant Practitioner Higher Level Apprenticeships can either result in a foundation degree or a QCF (Qualifications and Credit Framework) and you will then be qualified in assistant practitioner jobs. As well as the introduction of Level 4 Apprenticeships in the field of health care, all apprenticeships are now being developed with the addition of Trailblazer Apprenticeships. Healthcare Support Worker Trailblazer Apprenticeships are currently being developed. So, is the healthcare sector for you? Do you think you are ready to rise to the challenge of Apprenticeships doing healthcare assistant jobs and perhaps even progression to healthcare management jobs and assistant practitioner careers? If you are answering a big yes to those questions, what are you waiting for? Apply for Health Care Apprenticeships in the UK today and you could soon be on the road to a successful and rewarding career.